The Office of Research Services would like to encourage all full-time tenure-track and tenured faculty members and research centres to start planning for the next CFI IF call for proposals. At this time, faculty submissions will not be evaluated but will be used to seek opportunities for collaboration among researchers, other academic institutions and partners. Once the CFI issues a formal call for proposals (Notice of Intent (NOI) to apply), the Vice-President Research and Innovation will then formally issue an internal call for NOIs for evaluation. 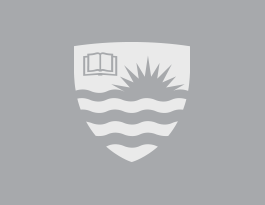 Since no information has been provided by the CFI at this time for the 2019 IF competition, for purposes of this internal call, researchers are asked to use Lakehead University’s previous institutional envelope of $3,400,000 (representing CFI’s 40% of project costs) when preparing their EOIs. CFI awards will be available to fund the acquisition or development of research infrastructure to increase research capacity (including construction or renovation costs) and the CFI will provide up to 40% of the total project cost. We are also continuing to assume that the Ministry of Economic Development, Job Creation and Trade's Ontario Research Fund (ORF) will fund an additional 40% with the remaining 20% of the funding to be provided by eligible funding partners (for example, in-kind contributions in the form of special discounts from equipment suppliers on infrastructure items beyond the best educational price). When preparing their EOIs, researchers are encouraged to review CFI's discussion paper entitled Conversation on the future of Research and Research Infrastructure in Canada: role of the Canada Foundation for Innovation for information on some of the CFI's general future visions. Researchers who are looking to improve chances of success with this program are strongly encouraged to seek partnerships for the CFI Innovation Fund. Those CFI IF applications funded in previous competitions have been from institutions with strong partnerships with other academic partners as well as partners in the private sector. 1. Name of Principal Applicant, Co-applicants (and their academic institutions) and potential external partners. 3. General Objectives – Describe how your proposed project meets the requirements and vision of the IF program. 4. A brief description of the proposed research project. 5. A budget estimate and list of potential equipment. 6. How the proposed research project fits with the research priority areas outlined in the Lakehead University Academic/Research Plan.